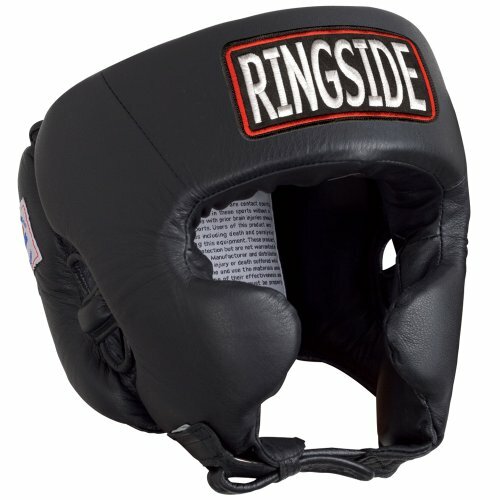 Ringside is one of the more well known Boxing brands that offer some good gear at good prices. 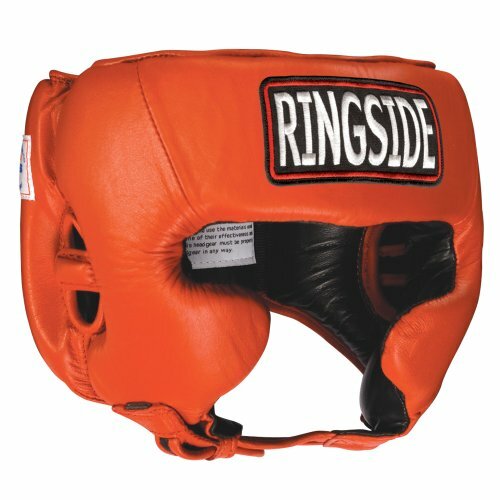 The Ringside Competition Headgear was one of my first, “good,” pieces of gear. Out of the two variants I went with the cheeks version in hopes that it would offer more protection. For starters. 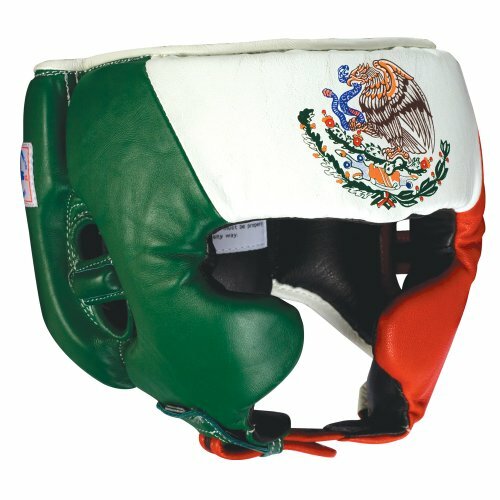 this headgear was made according to USA Boxing specifications. That right there can attest to the protection but we’re going to take a deeper look into this headgear. The padding is on the firmer side of things but it seems like it’s layered in a way. The outer layer is solid with very little give to it while the inner layer seems to have a very thin layer of soft padding. Its this ever so thin layer that helps the headgear to shape and conform to your head which helps with comfort. 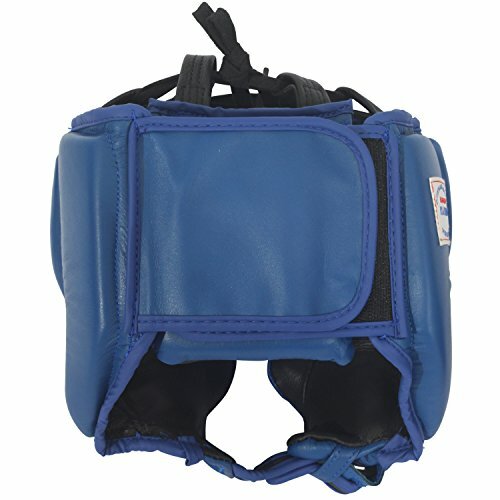 The back and sides of the headgear are also very well padded with the back having a cushion. The ears are a little open in my opinion but a good amount of padding surrounds them. The only big flaw that comes with the protection of this headgear are the cheeks. You might as well buy the one without cheeks because these things are so small and thin that they barely cover my cheek bones. 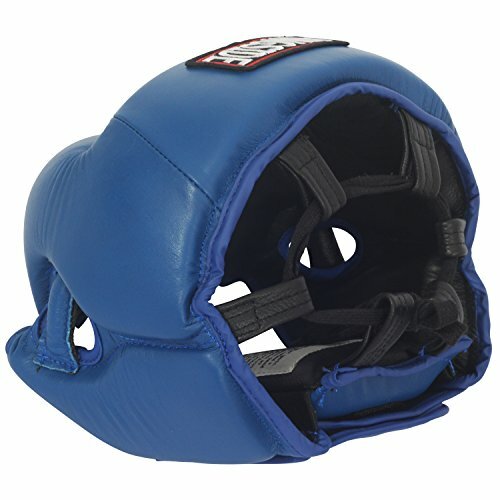 The back, sides, and forehead are protected very well but the mouth, nose, cheeks, chin, the face in general are wide open for any punch at any angle. The cheeks are also stuffed with a very hard foam or some kind of stiff object that helps them keep their shape. Now you don’t notice this thing at all unless you grab the cheeks and try to push it to the leather. It’s just strange and I wish the cheeks were wider and came closer to the nose. 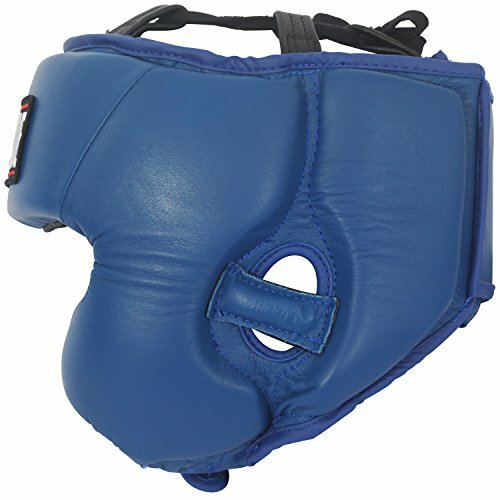 Overall the protection the Ringside CH offers is pretty good, top tier for sure due to the padding. It’s not something I would recommend to someone who is worried about going to work with a bruised or cut up face though. This headgear is meant for competition so I think it does a better job protecting the brain than it does protecting the face and because of that it’s something that a slick Boxer can use to better effect than someone who brawls or is starting out. As mentioned earlier that very soft inner layer truly does help to make this thing feel very comfortable. It doesn’t mold to the face the same way that an FG2900 does but it still molds a good amount. Really no complaints whatsoever when it comes to comfort. The Ringside competition headgear sits right and feels right. Due to the face being so open and the cheeks being small, the vision you get out of this thing is ideal. It’s as if you weren’t wearing a headgear in the first place. Perfectly good vision with no obstructions whatsoever. The quality of this thing is top notch, full leather construction. There are but a few small blemishes such as a crooked logo and some loose stitching though. The leather isn’t the best looking leather I’ve ever seen but it’s thick and durable with a nice smell, something that’ll definitely last me awhile. I’ve even used this for MMA Sparring and it’s held up just fine rubbing against mats. The Ringside Competition Headgear still looks good as new. As I mentioned though there are places where the stitching is messed up but nothing extreme and it has held up. The Padding hasn’t broken down or anything, it’s still very protective. Above up all it’s held up and compared to other headgears in the same price range, this headgear beats them easily in quality. 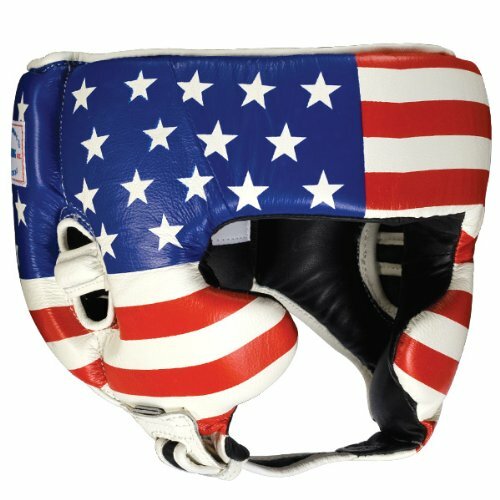 As mentioned previously, this headgear was made according to USA Boxing specifications. Due to that the design definitely works and works very well. The closure is something I’m not a fan of but that’s more personal preference than anything. I prefer a quick clip or a velcro closure instead of a buckle. The buckle closure is more of a hassle to adjust. My only real complaint would be the very small cheeks that leave the face completely open. Again though this is a headgear ment for competition so you need to take that in mind. This headgear was made to protect your brain and not so much your face and it does exactly what it was supposed to do. The way Ringside did the back padding is one of my favorite parts about this headgear. First of all it’s a velcro closure so it’s quick to adjust. Secondly the back cushion has velcro which locks in the right strap and then the left strap locks onto the right strap. Secure fit with no shifting around. The back cushion is also held down with elastic on both sides. I’ve used other headgears where once you put it on the cushion shifts around or even goes up. This cushion on the other hand gets locked in tight because of the elastic and double velcro. The cushion also has two out of the six loops to adjust the lace up top. Again just a great no foul design, one of the best I’ve used. You can find this headgear as low as around $50 (at the time of this review). For that price it is absolutely worth it. You get some great protection and amazing quality for as low as $50. Amazing deal for sure. The Ringside CH has four different sizes. Up to 22in would be a small, following that is a regular which goes up to 23.5, then a large upnto 25in, and finally an extra large that is above 25in. My head measures around at 23.5in and I went with a large. It fits perfectly and because of that if your head measures in at the, “max,” limit then I’d suggest going a size up. So if your head measures exactly 22in, I’d try going for a regular. 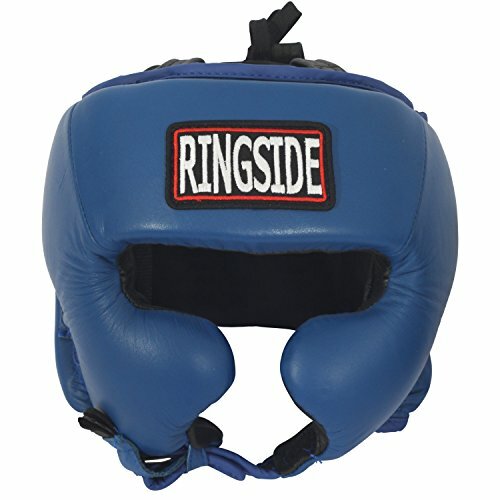 Ringside has created a very protective headgear at a very competitive price. With quality that’s almost unbeatable at that price. 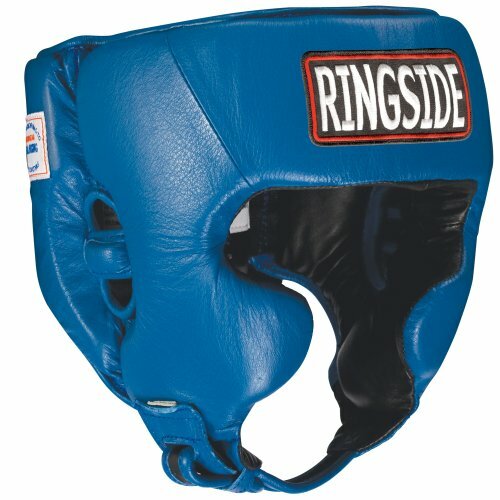 The Ringside Competition Headgear with Cheeks is something I would recommend to any slick Boxer out there. Lobo purchased this Ringside Headgaer himself for the full price. This did not influence the outcome of this review.